Akebia is a genus of approximately five species of woody climbers native to China, Japan and Korea. They are evergreen, deciduous or semi-evergreen twining vines grown for their pleasant, spicy or sweetly scented flowers. The medium green, compound leaves are shaped like a hand and may have thre leaflets. The leaves alternate on the thin stems. Generally the foliage has a bronze hue when young. The marginally attractive fragrant flowers are borne on unbranched stems among the foliage. The flowers appear in spring and are either male or female. The smaller male flowers tend to be along the stem tips and the larger female flowers are below them. 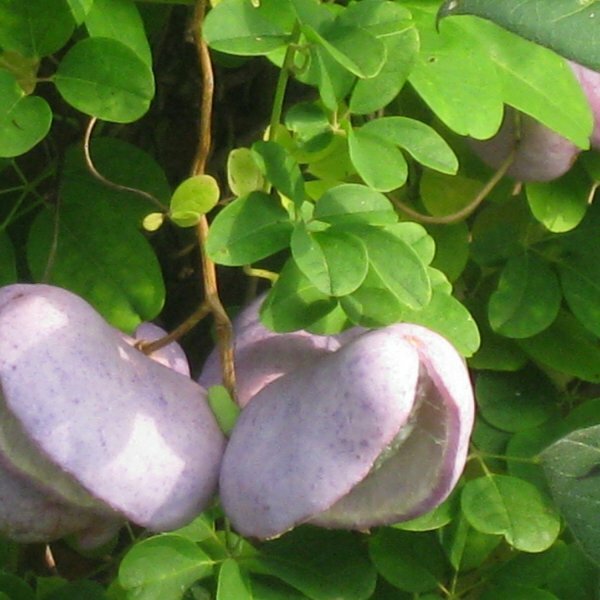 The blooms are cup-shaped with three broad petals that may be rose, mauve or purple. These are followed by odd, sausage-shaped, fleshy blue to purple berries. Akebia trifoliata is popular deciduous species for cultivation. 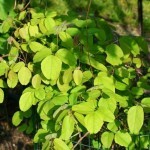 Its leaves have three rounded leaflets and its flowers are dark purple. 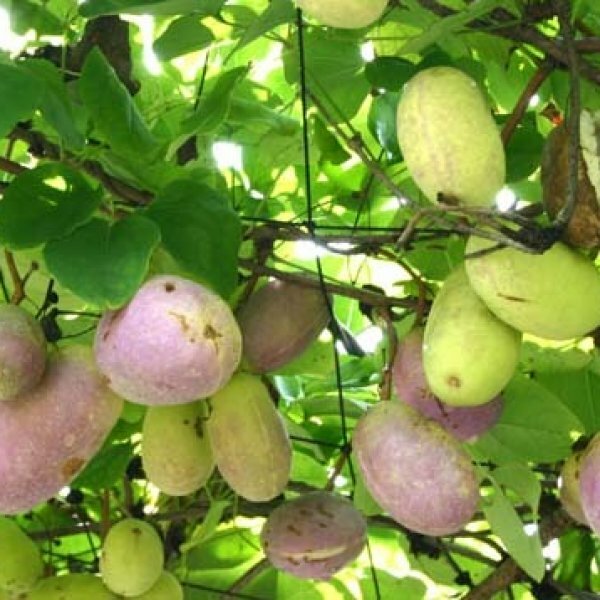 The spring blooms are followed by long, purple fruit. 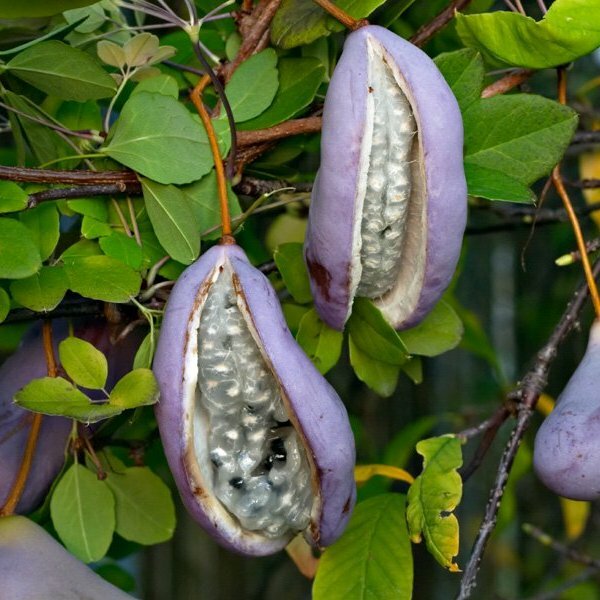 Germination -	Fill a bowl half full of tepid water and place the Akebia seeds into it. Set the bowl aside and let the seeds soak for 24 hours. -	Fill a clean jar with 1 inch of spaghnum moss, peat moss, course sand or vermiculite. -	Pour the Akebia seeds into the soil and place the lid on top of the jar securely. Shake the jar up to mix the seeds in well with the medium you used. -	Remove the lid from the jar and add 1/4 cup of water to it so that the medium and seeds are moist, but no water stands on top of it. -	Place the lid back onto the jar and set the jar inside a refrigerator for one month. Check the jar after one month to see if any sprouts are present. If no sprouts have germinated, place it back inside the refrigerator and leave it for up to two more months, checking it weekly for sprouts. -	Gently remove the seedlings from the soil mixture and plant them in individual 4- to 5-inch plant pots filled with sterile potting soil. Plant each seedling only as deep as the roots and water well afterward.